With the summer of cycling just around the corner, the Seven Network has confirmed that it will broadcast the latest addition to the Australian cycling calendar, the Cadel Evans Great Ocean Road Race. Seven will broadcast the event LIVE and exclusive across Australia on Sunday, February 1, 2015, prior to its coverage of the Australian Open tennis men’s final. Seven�s coverage of the Cadel Evans Great Ocean Road Race (Elite Men’s Road Race) will also include highlights of the lead-up events held on Saturday January 31, 2015 � the Elite Women�s Road Race and the Momentum Energy People�s Ride, which is open to the public. The Elite Men’s Road Race has received sanctioning from Cycling Australia and UCI 1.1 classification on the 2015 UCI Road Cycling Calendar. 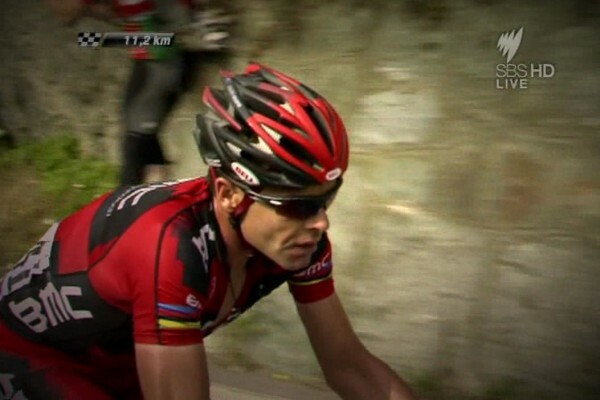 Former World Champion and Tour de France winner Cadel Evans has been closely involved in the creation and planning of the event. The course for the Elite Men�s Road Race starts at Geelong�s waterfront, heads southeast through Cadel�s hometown of Barwon Heads to Thirteenth Beach, then along the coast through Torquay and Bells Beach before winding back through the rolling Ceres hills to Geelong. While specific broadcast times etc. are not available at this stage, it is exciting to see a new cycling event immediately receiving free-to-air coverage in Australia. The other major events on Australia’s summer of cycling calendar, the�Australian road cycling championships and Tour Down Under, both have free-to-air coverage on SBS and Nine respectively. Lets hope the inaugural�Cadel Evans Great Ocean Road Race is a great success and is broadcast live on free-to-air for many years to come. (c) 2013 Frost Global - All rights reserved - powered by WordPress.